Director Bryan Singer returns to the X-Men franchise, and blends the original cast with the First Class crew for an audacious, time travelling adventure in “X-Men: Days of Future Past” (3D) that will open in Philippine cinemas on May 21 nationwide. For years, the X-Men have faced many threats from within and without their ranks, but in “Days of Future Past,” they’re dealing with one of the worst. 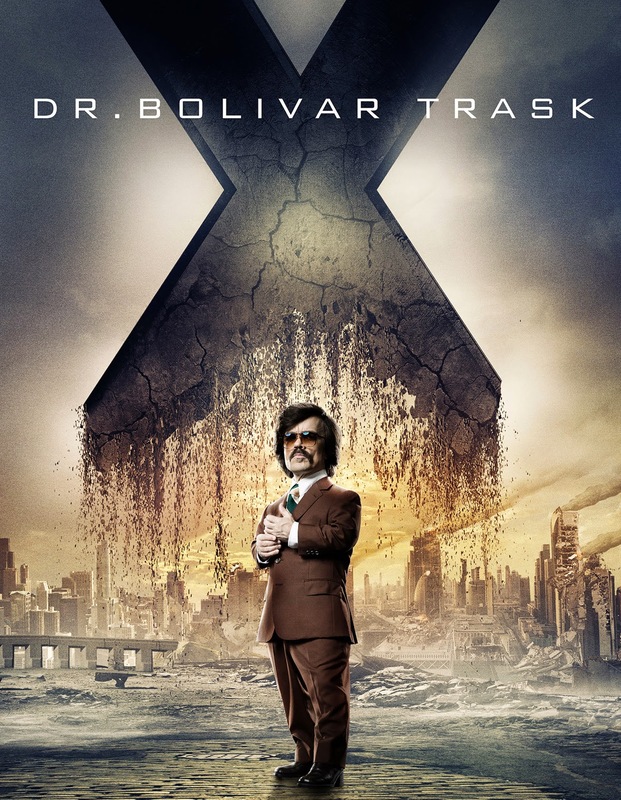 The films have a history of mankind misunderstanding mutants, but in the upcoming film, scientist Bolivar Trask (played by Peter Dinklage) begins to rally the world against our heroes, and creates the monstrous, massive Sentinel robots to help tackle what he perceives as the mutant problem. 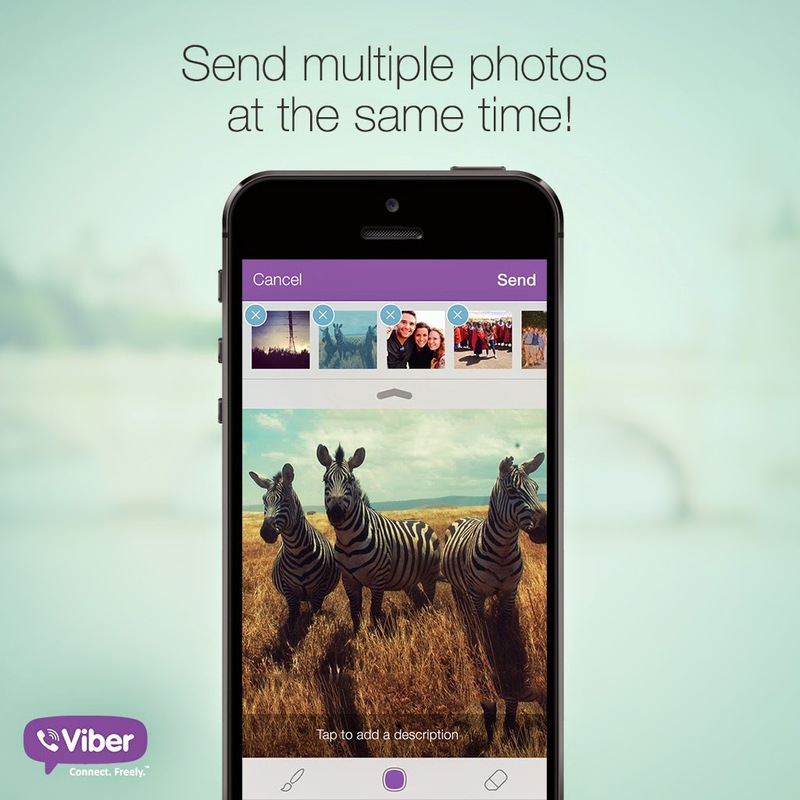 XSTIG: VIBER takes you to #Viberacay! After announcing the release of its iOS app to version 4.2, bringing a redesigned user interface for iOS 7 and is now available on Blackberry 10, Viber will keep its feet going to the islands of Boracay as loyal users will enjoy the vibe which only Viber can provide. 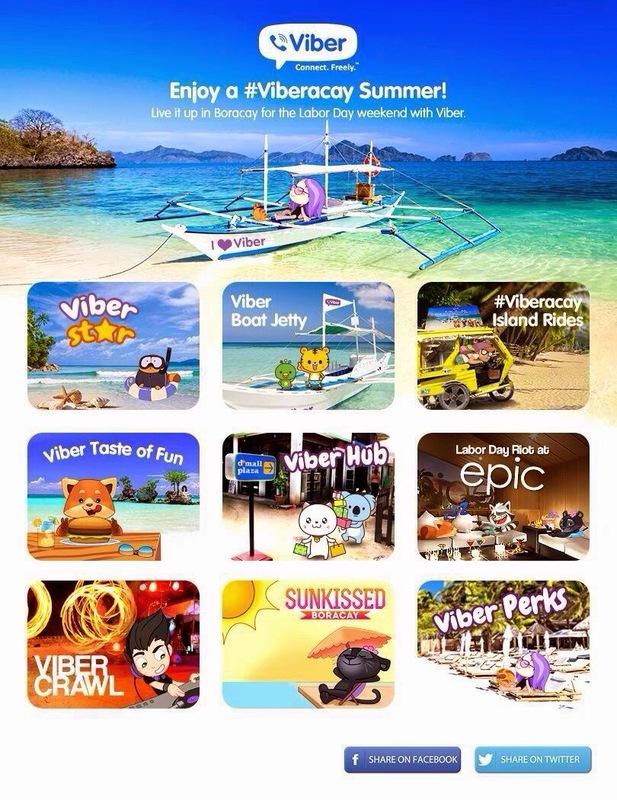 To enjoy the perks while staying on the island this Labor Day weekend (April 29 – May 5, 2014), send your Viber message with the hashtag (#Viberacay) to 0911-VIBERPH (8423774). FREEBIES like boat ride (from the Jetty Port to Cagban and vice versa); multicab and tricycle rides; usage of Viber Free WiFi, free Chori Burgers and access to ultimate Viber parties await! For more details, send #Viberacay to 0911-VIBERPH (8423774) or visit https://www.facebook.com/OfficialViberPhilippines. HEALTHY LYF: Beach-ready body by summer? Coach Jim Saret tells you how. The pressure to have a beach-ready body gets more intense by the day, now that summer is officially here! Especially if you’ve indulged in all of your food cravings and have not hit the gym of late, you must be in some kind of a bind. We know all too well that losing weight is never that easy, and getting fit takes months, if not years, to achieve. 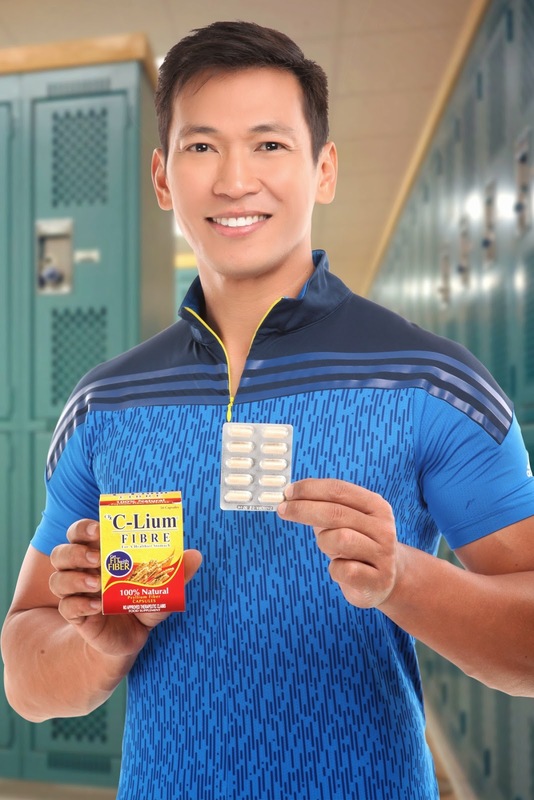 Fortunately, fitness expert Jim Saret, known as Coach Jim in The Biggest Loser (Pinoy Edition Doubles), understands your situation. He is, after all, the guy who created the program called MetaFIT, which speeds up a person’s metabolism and allows him to burn calories throughout the day, not just during a workout. While there is no turning back now from the consequences of bingeing and just lazing around, kicking yourself over not excercising sooner is not going help you either. The good news is, there is still time! Coach Jim clues you in on what you can do right now so you can showcase your beach-worthy physique with pride. The phenomenal young-adult tome “The Fault In Our Stars” penned by John Green is brought to life on the big screen produced by blockbuster producer Wyck Godfrey (“Twilight” films) and directed by Josh Boone (“Stuck In Love”). Written for the screen by the creative minds of Scott Neustadter and Michael H. Weber (“500 Days of Summer,” Shakespeare’s “Romeo and Juliet”), “The Fault In Our Stars” features two of today’s most followed young actors – Shailene Woodley and Ansel Elgort as extraordinary teenagers who fatefully meet and takes their love on an unforgettable and exhilarating journey into infinity. Stuttgart – Bosch is currently looking for six young people from across the globe to take part in the Bosch World Experience. The global supplier of technology and services will be sending participants on a 16-day trip around the world to visit well-known projects that Bosch is involved in. Destinations on this summer's trip will include London, Panama City, San Francisco, Shanghai, and Singapore. 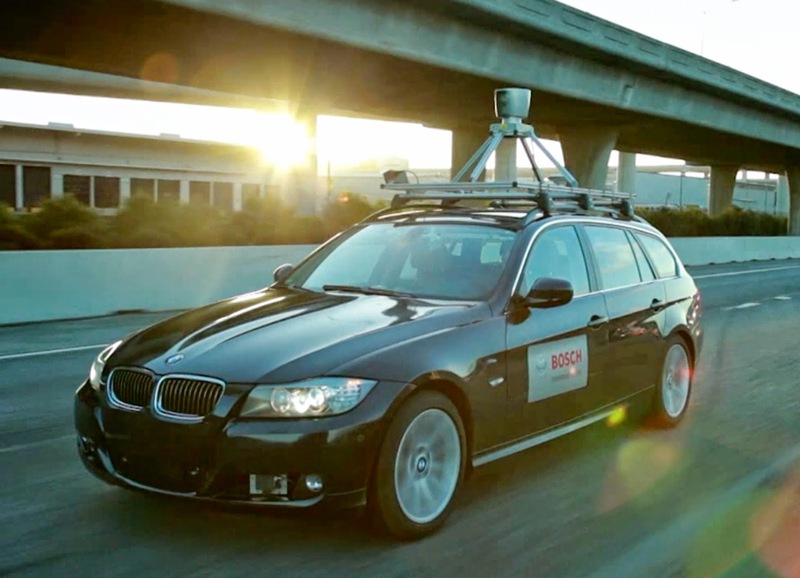 Applications will be accepted between April 7 and May 16, 2014 at www.experience-bosch.com. 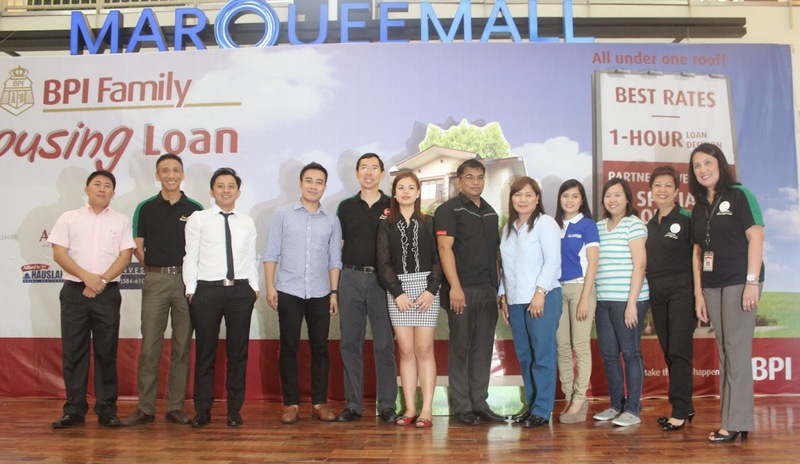 BPI Family Housing Loan brought excitement in Pampanga as it recently opened the 3-day Housing Madness at the activity area of Marquee Mall, Ayala Center. The Bank has put together under one roof eight (8) residential developers featuring their local projects, each one backed with exclusive home acquisition packages to offer. Real estate developers at the Housing Madness include Alveo Land, Inc, Avida Sales Corp (Avida Towers Vita), Avida Land (Madera Grove Estate), Ayala Land, Inc., Central Country Estate (Lakeshore), Filinvest, Hausland Development Corp. and St. Catherine Realty. 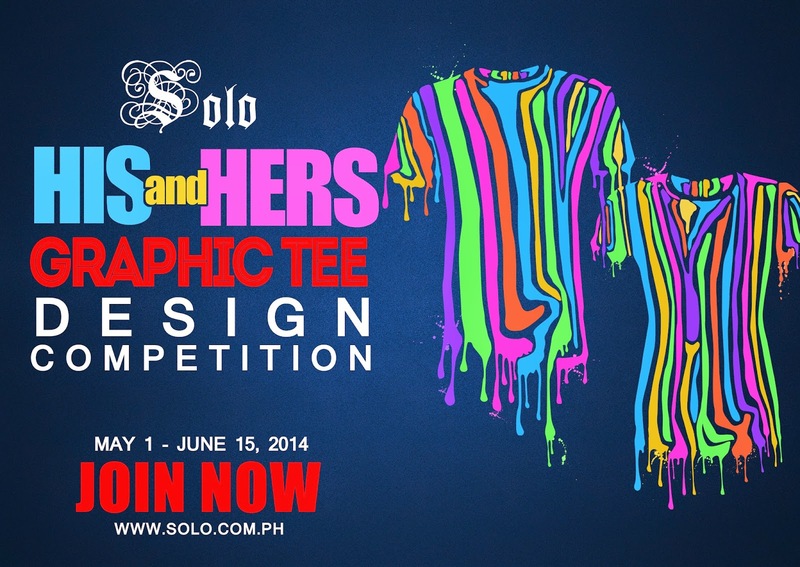 Solo is psyched to present the 5 winning entries and its creators! Eargasm by Gino Jardinico featuring earphones dancing to good music, equally interesting guitar graphic by Randy Pagatpatan named Gitarista, Musikang Pinoy by Jennieca Paulene Dayrit taking us to the early meaningful years of pinoy music, all about a man and a woman’s music diversity design Rock My World, Hear My Heartbeat by John Theli Bien and Music Love and Astronauts by Vincent Mark Baquiran a vivid illustration of astronaut lovers keeping in touch through music! It is week 3 now of Wrangler Sun Chaser and we are now getting closer to the revelation of the grand winner who win a round-trip ticket with accommodation to the country of choice! We leave in the morning, and stay out until the last ray of sunlight leaves us. Being a true adventurer is the best fulltime job out there! This week, don’t look back, keep going to the very end and be rewarded with the most beautiful sunset you’ve ever seen. 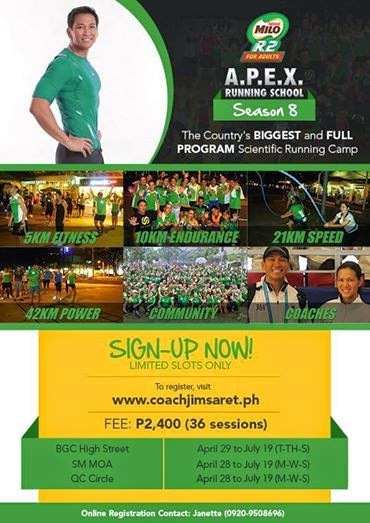 In April of this year, the MILO R2 APEX Running School will launch its eighth season to further its commitment to helping Filipino adults achieve peak form and a well-rounded lifestyle. Anchored on MILO’s thrust in building a nation of champions, the running school aims to engage and develop over 2,000 participants. REEL DEAL: Nicky Minaj Brings It For a 3-Timing Rouge In "The Other Woman"
The high-octane drama 24 is back and is as explosive as ever! 24: Live Another Day is an exhilarating new event series that will restart the ticking clock on the Golden Globe and Emmy Award-winning drama. Airing the same day as the U.S., catch the 2-hour premiere of 24:Live Another Day on May 6, simulcast at 1PM with a primetime telecast at 9PM, exclusively on JackCITY. 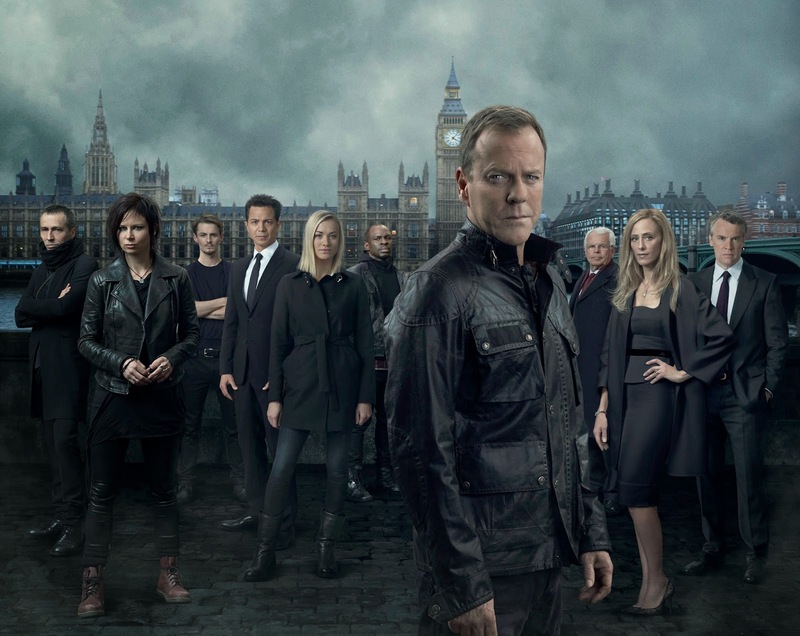 Set and shot in London, the suspenseful event series once again will follow the exploits of heroic ex-Counter Terrorist Unit agent Jack Bauer (Kiefer Sutherland). A global leader in coating solutions announces a major expansion move in the Philippines, the entrance of a new company to focus on the introduction of its architectural or decorative coating solutions. Nippon Paint (Coatings) Philippines will bring to the local market an innovative and diverse suite of Total Coating Solutions™ - coating solutions for roofs to floors, and everything in between. Further complemented with its Trend Beyond Colours™ special effect paint where walls now come alive with texture. 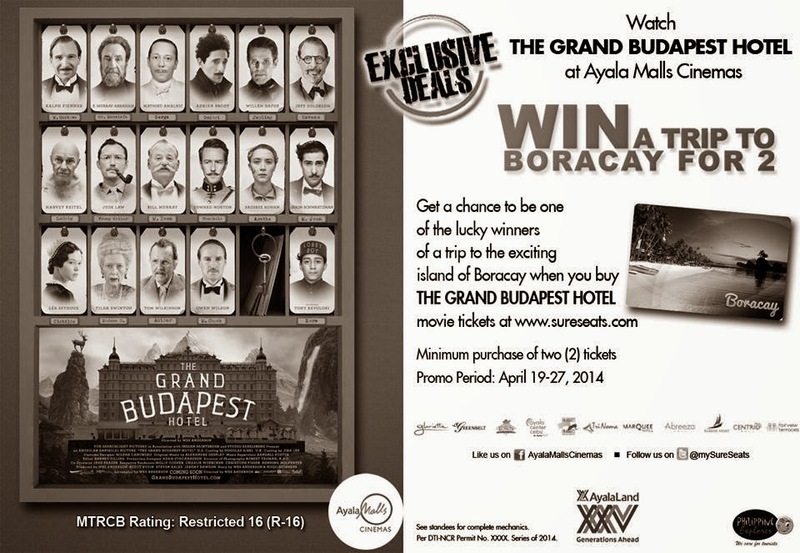 Running until this Sunday, April 27 at Ayala Malls Cinemas nationwide, “The Grand Budapest Hotel” promo is a special treat for www.sureseats.com members. To join, simply purchase two (2) tickets to the said film at any participating Ayala Malls cinema, and you will receive one raffle coupon. Four tickets will entitle buyers to two coupons, and so on. Popular Messaging And Voice App Viber Unveils Version 4.2 For iPhone With A Redesigned Look, A Bevy Of Feature Updates, And Long Awaited BlackBerry 10 App Viber, (www.viber.com) the leading mobile communications platform offering free messaging and HD-quality phone calls, announced today the release of its redesigned iPhone app that is designed for iOS 7, bringing multiple enhancements to iPhone users. The company has simultaneously released a new mobile app for BlackBerry 10, bringing Viber to BlackBerry’s latest OS with many of the most popular Viber features for the first time. 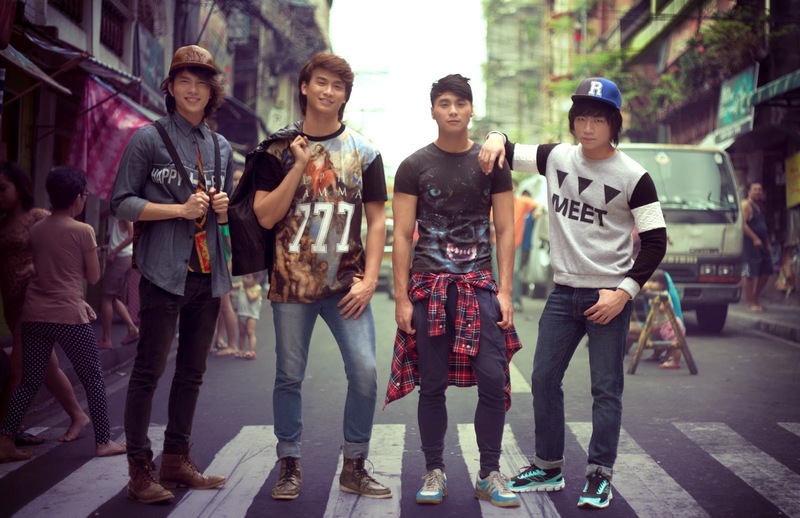 OFTEN mistaken for Korean pop superstars, proudly all-Filipino boy band 1:43 (one forty-three) gives the term KPop a whole new meaning in their third album titled #KalyePop. 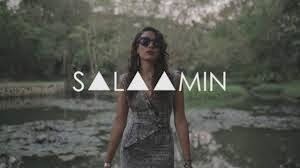 “#KalyePop or KPop is our humble contribution to the rebirth of the local music industry. We hope that our new musical direction will advance our mission of winning back the Filipino audiences to Original Pilipino Music (OPM),” says boy band spokesman Anjo Resurreccion. Do you know someone that have been in the service of others and has embodied the sacrifice of selflessness though works of mercy and help to fellow men? Make them recognized and make their works inspire more people to follow these acts just like what Blessed Theresa of Calcutta did. In the land of selfies, it is refreshing to encounter people who are selfless: dedicating their time, money, and effort to make a difference in the lives of others. Bosch has been a partner of the building and construction industry for many years by providing innovative power tools for professionals and enthusiasts. As the National Construction Safety Month draws to a close, Bosch promotes best practices in handling power tools and equipment with tips on preventing construction-related accidents. Each year, hundreds of injuries and fatal accidents are caused by construction works and equipment operation. Though most of these accidents involve the operator, people on the ground such as laborers, spotters, co-workers and passers-by, are also involved due to the lack of safety warnings and precautions. Luistro to new DepEd officials: "Be shepherds who smell like your sheep"
This was how Education Secretary Br. 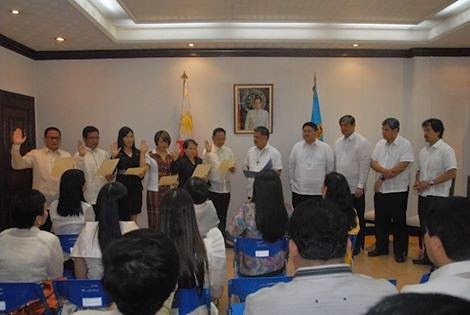 Armin A. Luistro FSC challenged the newly-appointed executives of the Department of Education (DepEd) during their oath-taking, April 22. Schools Division Superintendents and Assistant Superintendents are third-level officials whose appointments are signed by the President and who need to swear an oath before the head of the agency. There was a time when college students actually carried books to school. To own a laptop was a privilege, tablets and smartphones were virtually nonexistent, and only the tech geeks were the ones perpetually connected online. What a difference a decade makes. These days, it would be a novelty to see a student scribbling notes on actual paper; everyone’s busy tapping on keyboards. You’d be hard pressed to see coeds without their phones in hand, listening to their iPods and poking around on their tablets. Everyone is plugged in, 24/7. Schools get that. And as a result, they are revamping the way technology is used to ensure that students maximize its potential for a better college and campus experience. The Adam Levine, Kiera Knightley and Mark Ruffalo starrer BEGIN AGAIN has been selected to close the 13th Tribeca Film Festival on April 26, 2014. From writer-director John Carney (Once), the movie originally titled Can A Song Save Your Life? is a soul-stirring comedy about what happens when lost souls meet and make beautiful music together. Gretta (Keira Knightley) and her long-time boyfriend Dave (Adam Levine) are college sweethearts and songwriting partners who decamp for New York when he lands a deal with a major label. But the trappings of his new-found fame soon tempt Dave to stray, and a reeling, lovelorn Gretta is left on her own. Her world takes a turn for the better when Dan (Mark Ruffalo), a disgraced record-label exec, stumbles upon her performing on an East Village stage and is immediately captivated by her raw talent. From this chance encounter emerges an enchanting portrait of a mutually transformative collaboration, set to the soundtrack of a summer in New York City. 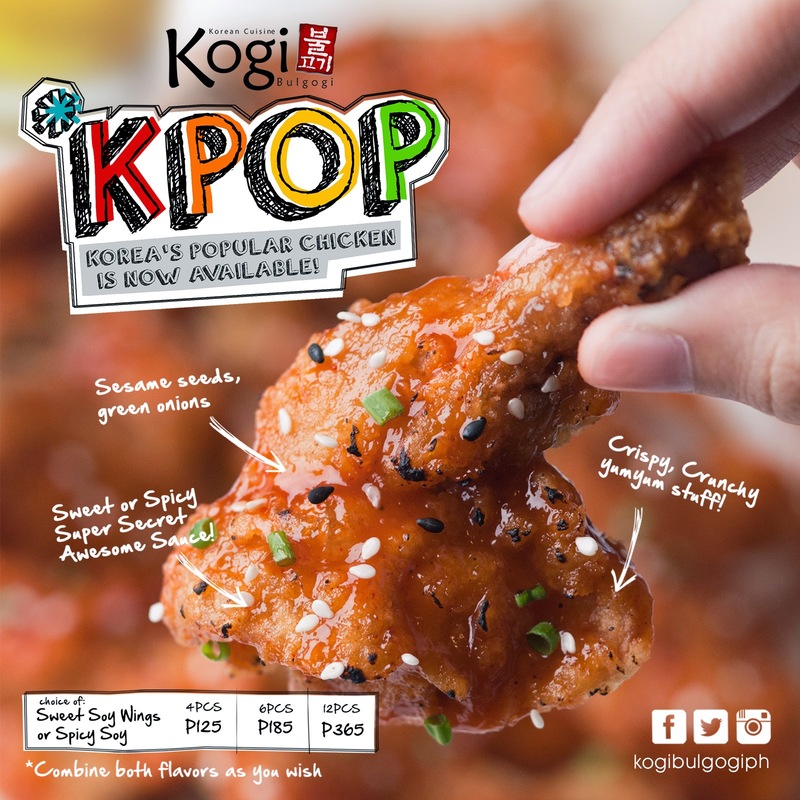 Kogi Bulgogi has join in the chicken craze and now offering their own version of the juicy, crunchy & tasty Korean Fried chicken. The name came up when we thought of Korea’s popular chicken, hence the name KPOP Chicken. Kogi’s Korean Fried Chicken or KPOP Chicken is also known as Yangnyeom chicken in Korean, a dish prepare in a Korean style often served at home. Often consumed during meals and eaten at bars or taken as snacks after meals in Korean. There are two kinds of KPOP Chicken for now, one is the sweet soy and the other is the spicy soy version. Eventually, KPOP Chicken will have more unique flavors and will have more spice levels to choose from. From the Voice of the Philippines and now officially and recording artist under MCA Music (Universal Music Philippines), Myk Perez has now starting his music path after the talent show. This is the real test of musicians to make it big, and having their own album is the start. Being part now of the MCA Family, he is joined by his batchmates in the Voice of the Philippines like Mitoy, Janice, and Paolo Onesa. Having a distinct voice that souns soulful and works well with acoustic fits his debut album "My Acoustic". On this album, he included the songs he performed for the Voice and also an original track "Honey Under the Moon" which he composed. He also collaborated with other artists for "Two is Better Than One" with Krissy Villongo of Krissy and Ericka and "Almost Is Never Enought" with Sabrina for her album "I Love Acoustic 6". 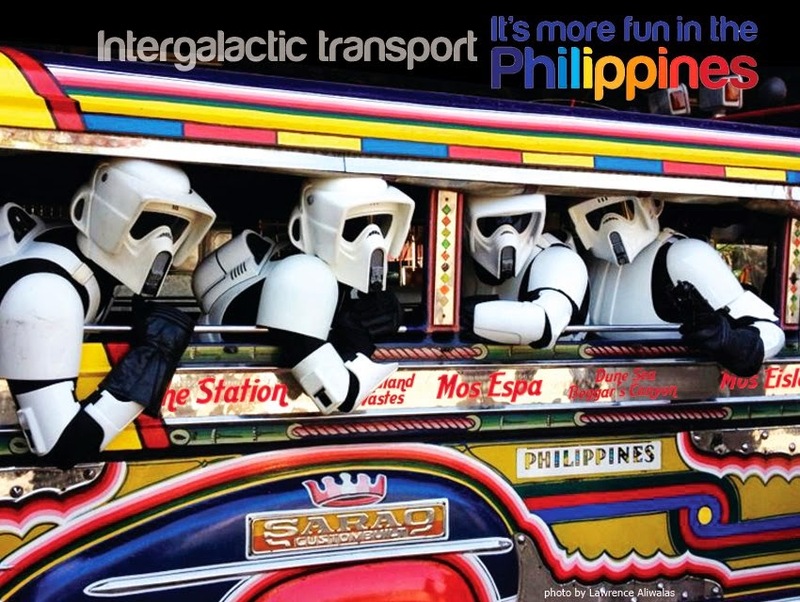 Manila Bids "May the 4th Be With You" On Star Wars Day May 4! The Philippines will join Star Wars fans all over the world (and galaxies far, far away) in celebrating Star Wars Day on May the 4th, 2014. Everyone is encouraged to greet anyone, `May the 4th Be With You’ or don their favorite Star Wars costume, speak Yoda-ese, watch a Star Wars movie, hum John Williams’ unmistakable score or wield their lightsabers, with matching voice-generated sound effects. But for those who want more officially-organized events, they can troop down to Resorts World Manila in Pasay on May 3 and 4 where the Philippine Outpost of 501st Legion (an international organization of Star Wars fans who wear the costumes of the villains) has lined-up interactive festivities for the public and fans alike. #WranglerSunChaser Week 2 is On! Week one of the Wrangler Sun Chaser contest is done and week 2 is now in progress. The Wranglet Sun Chaser project lets one into sharing their unique and great pictures on social media like instagram and facebook to have the chace to win cash vouchers and the grand prize is a 5-day vacation to a destination of your choice! 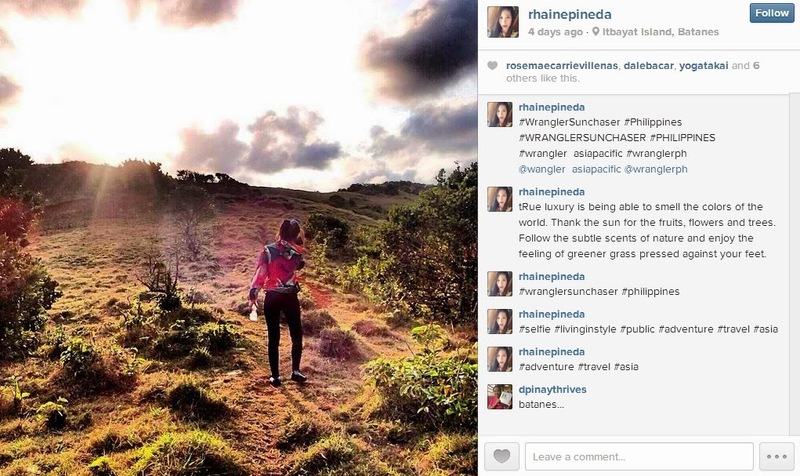 We would like to congratulate the winner of week one with the theme "Smell Nature" for the Philippines is Rhaine Pineda (@rhainepineda). You can check her winning entry here: http://instagram.com/p/m38m5sOuha/. 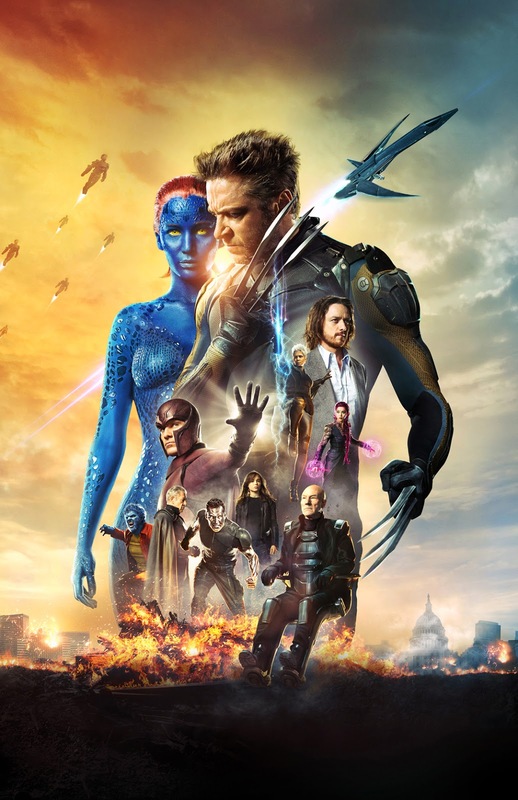 For the first time, the mutant worlds of the first three X-Men movies and the new, younger versions of our heroes from 2011’s successful First Class are on screen in one film. With Bryan Singer back directing, "X-Men: Days of Future Past" promises an adventure like nothing we have seen before. The future is dark for the heroes of the X-Men saga in “Days of Future Past.” A years-long world conflict between humans and mutants has taken its toll on their numbers, and now a scant few remain, including Professor Charles Xavier (Patrick Stewart), Erik “Magneto” Lehnsherr (Ian McKellen), Kitty Pryde (Ellen Page), and Wolverine (Hugh Jackman). Driven to near extinction by the technological terrors unleashed by Bolivar Trask (Peter Dinklage), the team forms a desperate plan: time travel. Relive the past with some the best singers of unforgettable classic songs such as "(I've Had) The Time of My Life" (featuring Jennifer Warnes), "Don't Know Much", and "I Still Do". And the songs of the Platters such as "The Great Pretender", "Smoke Gets in Your Eyes" and "Twilight Time". 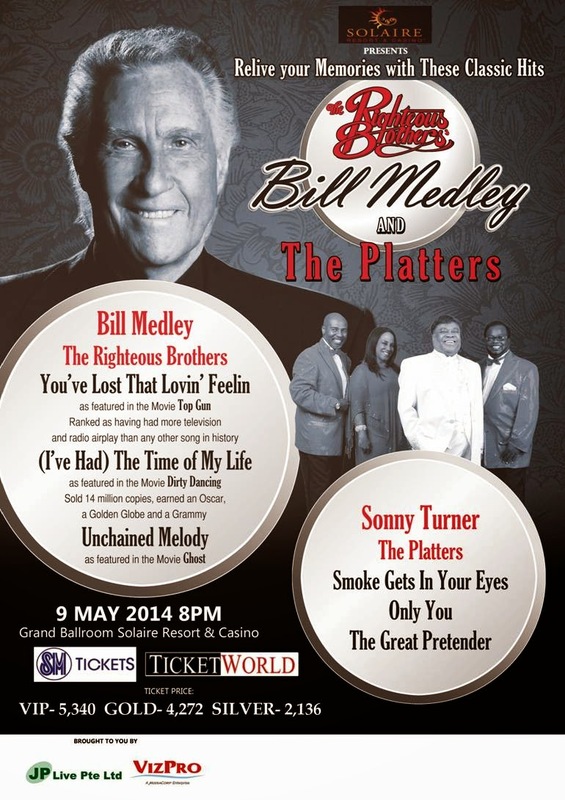 Now the two legends Bill Medley of Righteous Brothers and Sonny Turner of The Platters will perform live at Solaire on May 9, 2014 8PM. For tickets and inquiries you may call SM Tickets and Ticketworld. Experience their music all over again! Beyond the big hair, the high-profile running events and the slew of product endorsements, Coach Rio dela Cruz has also been recognized for his persistence to prevail in the midst of insurmountable odds – whether in his chosen sport of running or in the challenges everyday life. Unbeknownst to many, Coach Rio’s childhood was mired by hardship. His family struggled with poverty for many years while he was growing up, making it difficult for him to get an education and pursue his training in running. He has gone through it all: from selling “ice-tubig” as an 8-year old, walking several kilometers to and from school, to winning championships and organizing the biggest marathons in the country today. His life so far has truly been a journey. On April 10th Eyedress releases his brand new mixtape ‘Hearing Colors’ and it features 12 brand new tracks recorded in his bedroom in Manila. It is the follow up to his debut EP ‘Supernatural’ (released last year). Movie-watching up North just got more exhilarating, as Fairview Terrraces, the newest and hippest lifestyle hub at Quezon City - opens its revolutionary Ayala Malls Cinemas. 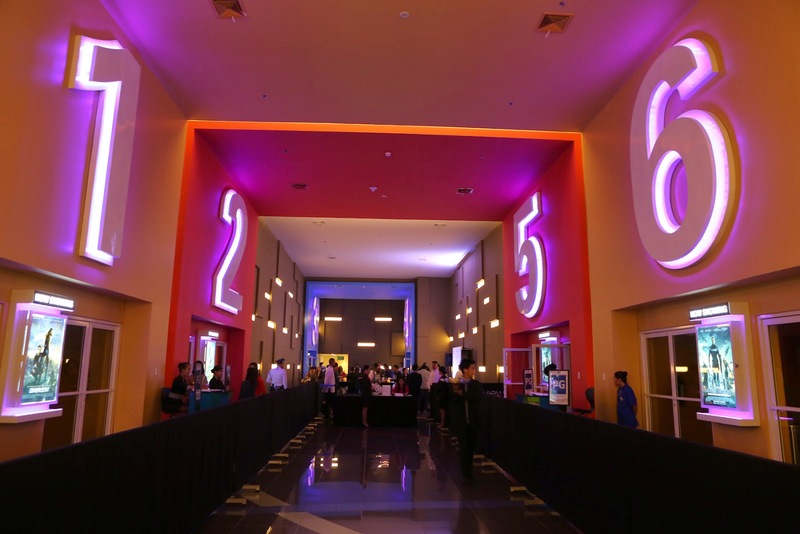 Fairview Terraces recently unveiled its 6 modern cinemas that come equipped with today’s cutting-edge theater entertainment technology and making movie-watching more dynamic are the Ayala Malls Cinemas extended privileges of convenience and premiere customer service. 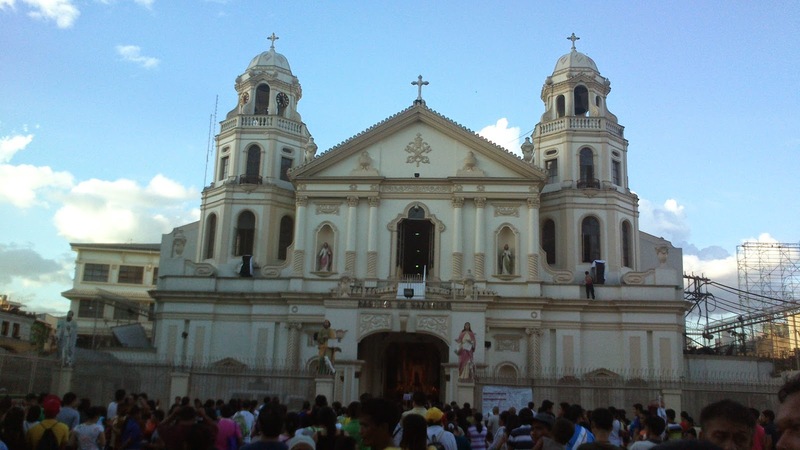 With the holy week now entering the Easter Triduum (Late Maundy Thurday to Early Easter Sunday), many Filipinos follow the tradition of Visita Iglesia which I also grew up with. And in the past years, I have being doing a blog/video documentation of my journeys going to the 14 churches (traditionally 7 or 8 to some but I opt to go with 14 for the stations of the cross and the abundance of churches in the city). In 2013, I went on the Visita Iglesia journey with my fellow SCAns (Student Catholic Action) which was a yearly tradition of the organization. Touring around the city of Manila staring at PLM in Intramuros and first visiting the churches inside the walled city. Now let me take you on what we went to the whole day with these churches, most of them are old and historical. REEL DEAL: More Than Diamond - French Actress Louise Bourgoin In "The Love Punch"
Starring opposite screen luminaries Pierce Brosnan and Emma Thompson as the divorced Mr. and Mrs. Richard and Kate Jones. Louise’s character named Manon is an unhappy married woman to a very accomplished business tycoon Vincent (played by French actor Laurent Lafitte). Their paths meet when Richard (Brosnan) finds out that the company he’s been working for had been fraudulently bought and that his and Kate’s along with the other employees’ pension fund had also been taken. 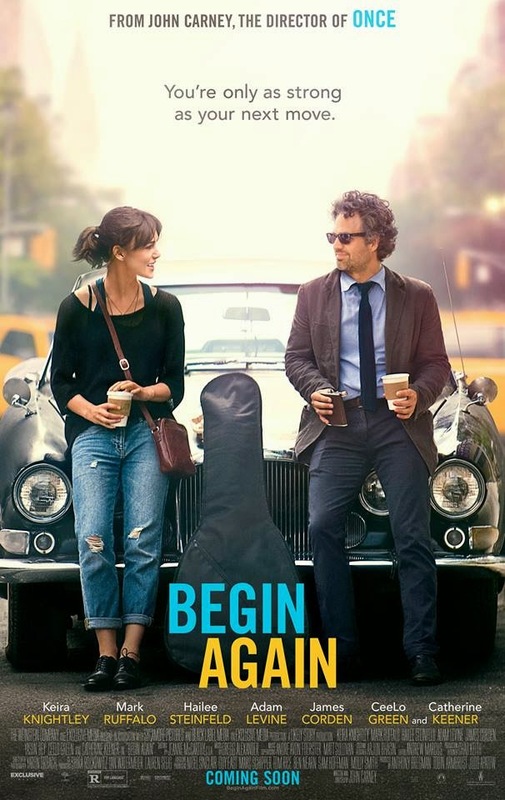 REEL DEAL: First Look for "Begin Again"
From John Carney, director of the critically-acclaimed movie ONCE comes another tale of music and love.. BEGIN AGAIN is a a soul-stirring comedy about what happens when lost souls meet and make beautiful music together it stars Keira Knightley, Mark Ruffalo, Adam Levine, Hailee Steinfeld, and CeeLo Green. Gretta (Keira Knightley) and her long-time boyfriend Dave (Adam Levine) are college sweethearts and songwriting partners who decamp for New York when he lands a deal with a major label. But the trappings of his new-found fame soon tempt Dave to stray, and a reeling, lovelorn Gretta is left on her own. Spotify, the world’s most popular music streaming service, launches today in the Philippines on mobile, tablet and desktop. Mabuhay! •An unbeatable music experience: listen to whatever music you want, whenever you want, on any device. Discover, organise and share. Offering amazing audio quality of up to 320kbps and with a brand new design, playing your favourite music never looked and felt this good. 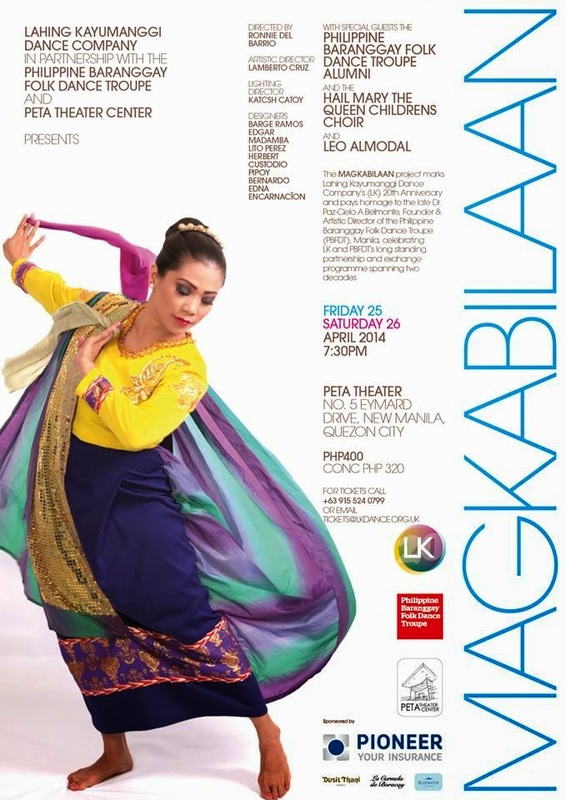 The Lahing Kayumanggi Dance Company in partnership with the Philippine Baranggay Folk Dance Troupe and PETA Theater Center proudly presents “ Magkabilaan ” --- the 20th anniversary concert to pay homage to the late Dr. Paz-Cielo A. Belmonte, Founder & Artistic Director of the Philippine Baranggay Folk Dance Troupe (PBFDT). “ Magkabilaan ” shall celebrate Lahing Kayumanggi’s and Philippine Baranggay Folk Dance Troupe’s long standing partnership and exchange programme spanning two decades. “ MAGKABILAAN ” will be held on April 25 and 26 (Friday & Saturday) --- 7:30PM at the PETA Theater located at No. 5 Eymard Drive, New Manila, Quezon City. Special guests include the alumni of the Philippine Baranggay Folk Dance Troupe, longest folk dance company since 1946; Hail Mary The Queen Children’s Choir and talented singer / fashion designer Leo Almodal. BPI Family Ka-Negosyo and the Philippine Franchise Association (PFA) in partnership with Go Negosyo continue its efforts in sustaining the country’s economic growth through entrepreneurship and franchising. The bank together with the country’s largest franchise association, PFA, teamed up anew in bringing a free franchising expo dubbed as “Franchising neGOsyo Para Sayo,” held recently at the Trinoma Activity Center in Quezon City. The two-day free expo offered franchising opportunities for Filipinos especially for OFWs in the food, retail, and service sectors.